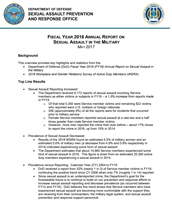 SAPR Source is an authoritative, one-stop shop for SARCs, SAPR VAs, and other SAPR professionals to access timely updates on victim assistance and prevention efforts, activities and events, tools and guidance, and important program and policy updates. SAPR Source is updated monthly or as-needed with key information and resources. Be sure to bookmark this page and check back often for updates! Remember, Help is Always Available! Find the nearest SARC and chat with Safe Helpline staff at safehelpline.org. New! Building Hope & Resiliency: Addressing the Effects of Sexual Assault has a new look! 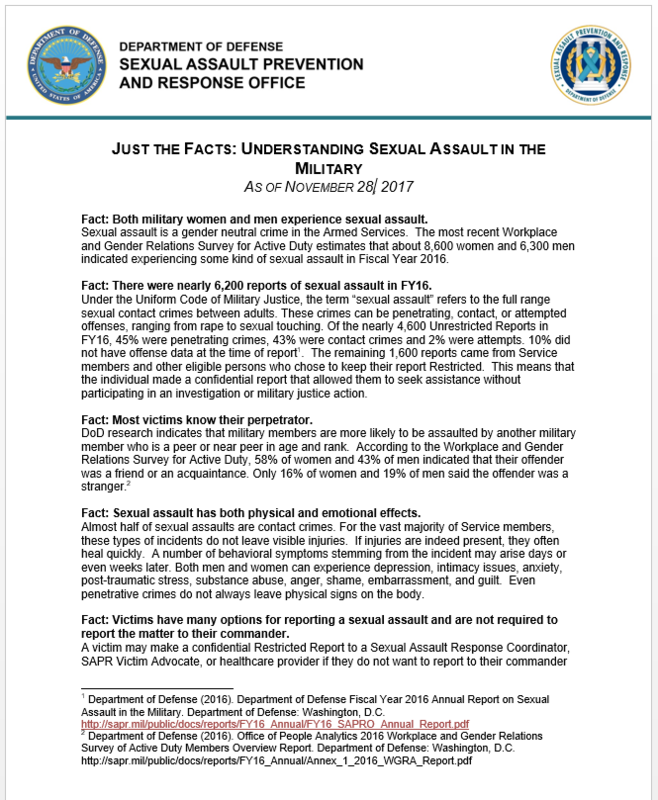 The anonymous, self-paced, online program was created to help restore resiliency in survivors of sexual assault in the DoD community. 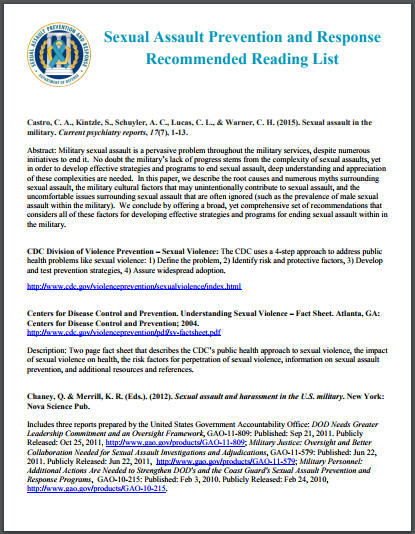 This resource is specially designed for cadets, midshipmen, and other Service members who may have been victims of sexual assault or abuse prior to entering military service, but will benefit anyone seeking to strengthen their resilience after trauma. Find it on safehelpline.org or the Safe Helpline app for easy, 24/7 access. Please note that if you have already taken this program for D-SAACP credit, you will not be able to receive additional credit. 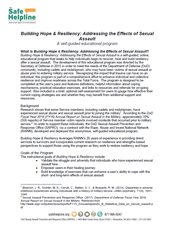 Find more information here https://safehelpline.org/building-hope-and-resiliency. New! 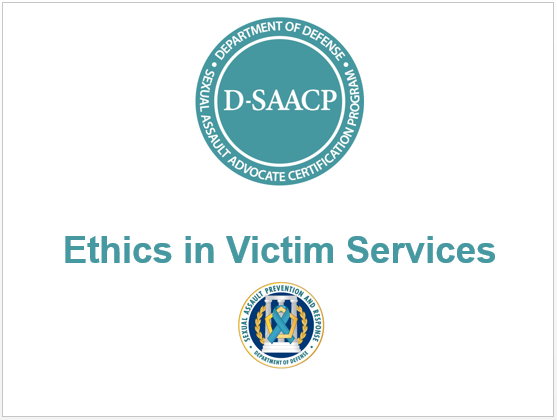 The National Organization of Victim Assistance training event will be held in Phoenix, Arizona at the Sheraton Grand Hotel from July 22 – 25, 2019. Find more information about the event and registration at trynova.org. 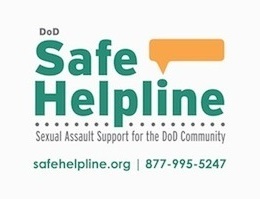 Department of Defense Safe Helpline is excited to announce the launch of its new website and app for survivors in the DoD community looking for live support, resources, and information. To meet the needs of a geographically diverse audience, those seeking support can access services and support anytime, anywhere through safehelpline.org. or by downloading the Safe Helpline app on the App Store or Google Play. Search: DoD Safe Helpline. 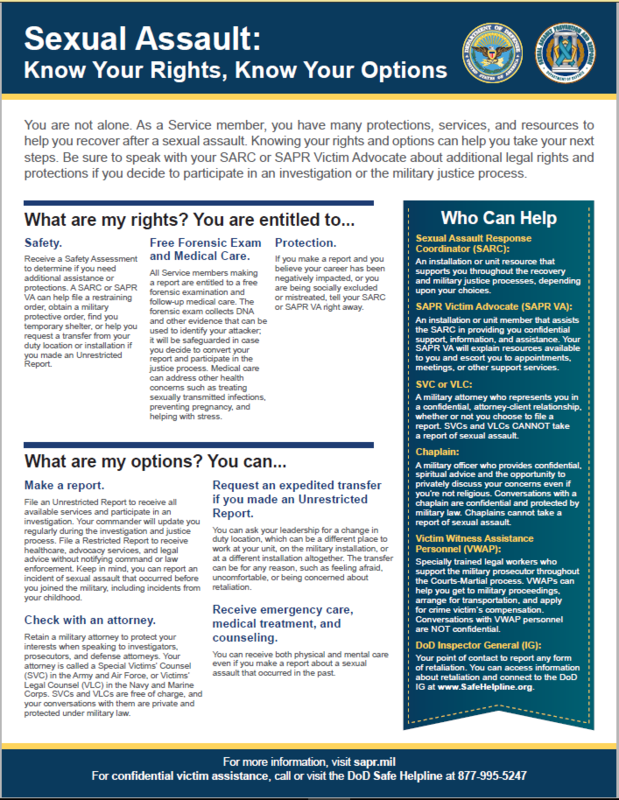 Are you looking for new ways to support survivors of sexual assault on your base or installation? Local Safe HelpRoom can help. 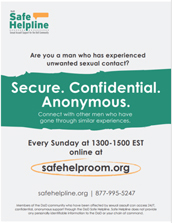 Local Safe HelpRoom provides an environment for survivors to safely and anonymously receive peer-to-peer support while removing common barriers to accessing in-person care, including time, cost, distance, and scheduling. By hosting your own Local Safe HelpRoom, you will be able to provide tailored assistance for your own community by identifying topics and creating discussions that best fit the needs of your local population. Learn more about how you can become a Local Safe HelpRoom moderator and start hosting live group chats for your community here. 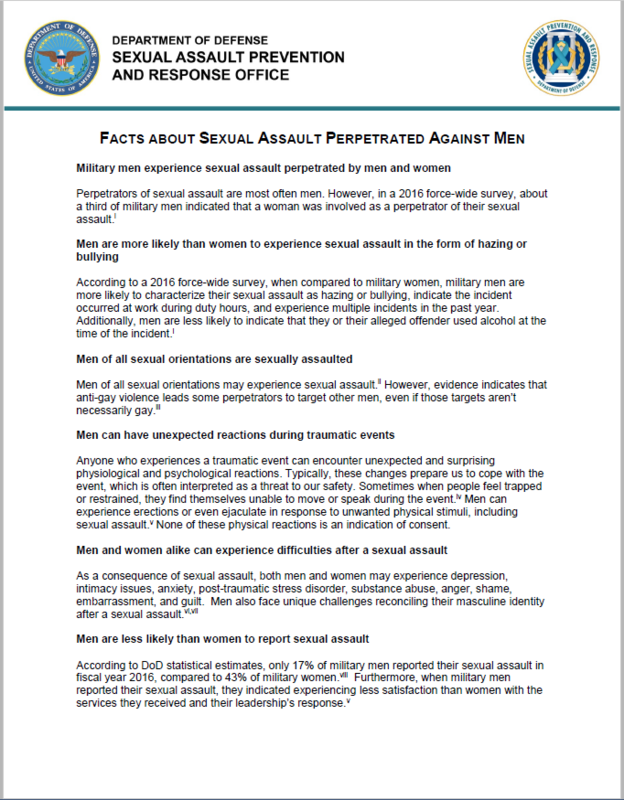 Check Out DoD’s Safe HelpRoom Male Survivor Sessions: Attend the Male Survivor Sessions here. Self-Paced Safe Helpline Courses: Safe Helpline offers three unique programs to help those looking for support or information related to sexual assault. All programs can be accessed anonymously, or responders can register with a valid military email address to receive one hour of D-SAACP credit. You can check out these resources here, or through the Safe Helpline app. 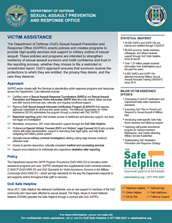 Safe Helpline Resources: Safe Helpline has a variety of resources to add to your existing cache of information on sexual assault and harassment. 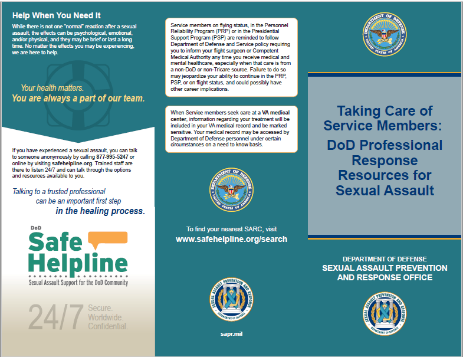 Safe Helpline Printed Outreach Materials: available for order here. 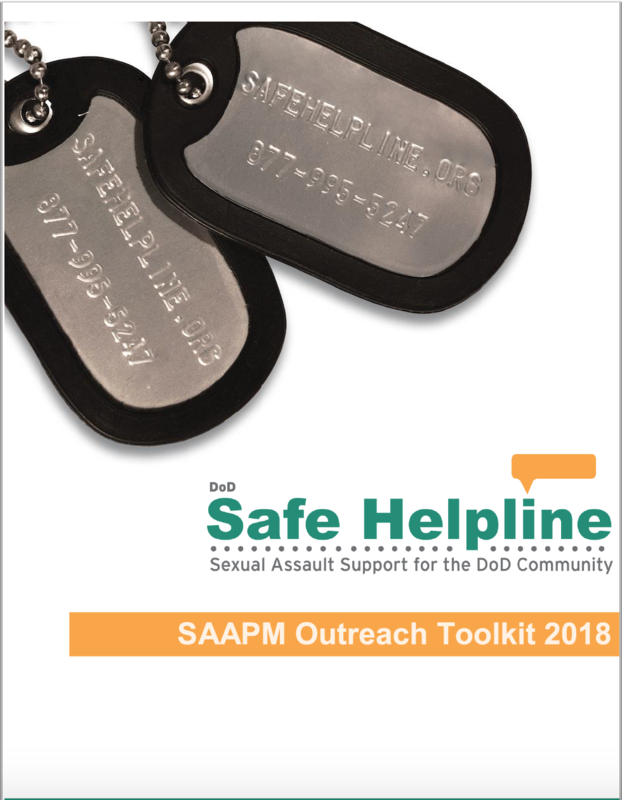 Safe Helpline Outreach Toolkit: Materials include frequently asked questions (FAQs), ways to talk about Safe Helpline with your community, and DoD SAPRO approved content to share on social media. Sharing the Safe Helpline FAQs with leadership on your base or installation can also be an easy way to help familiarize what Safe Helpline has to offer them and their units. Download the Outreach Toolkit here! Check Out SAPR Connect! 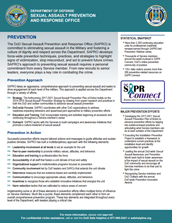 Do you know about SAPR Connect, the Department's only virtual Community of Practice (CoP) dedicated to sexual assault prevention? SAPR Connect is located on milSuite, the DoD's CAC-enabled and secure social media site. Currently there are approximately 3,300 members! 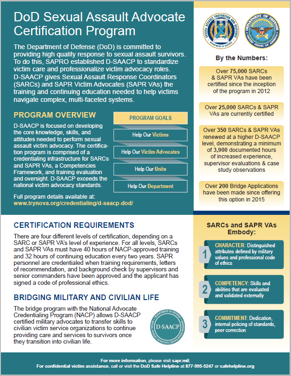 Connect to your fellow SARCs, VAs, and Service members by following their SAPR Connect activity, viewing the latest prevention materials, and posting an interesting article or blog post for discussion. Check it out here. 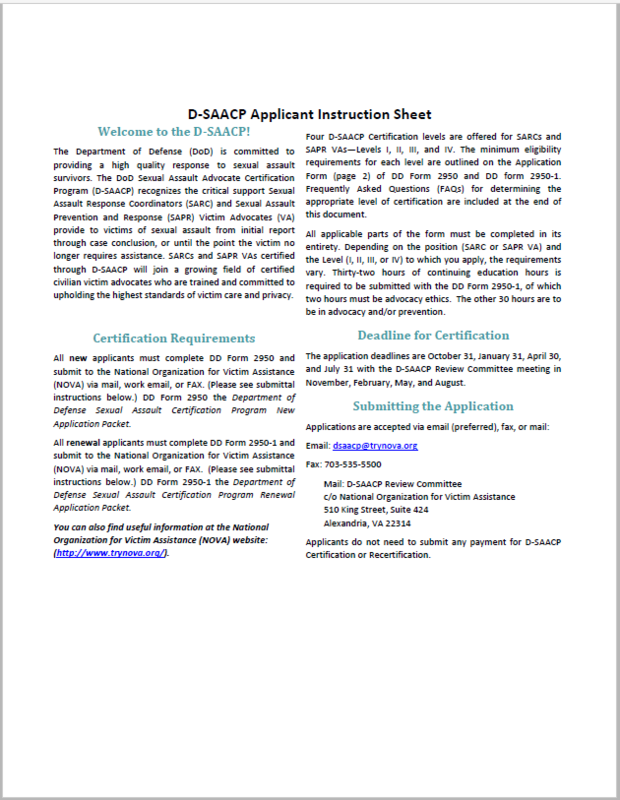 D-SAACP Slick Sheet: SAPRO has developed a fact sheet that gives a brief overview of the D-SAACP program and credentialing process to showcase the professional standards of our SAPR personnel. This is a great tool to use with those not familiar with the D-SAACP program, from commanders to the general public. You can access this new tool here. DoD and each of the military Services have issued policy to assure compliance with our mission and the rule of military law. 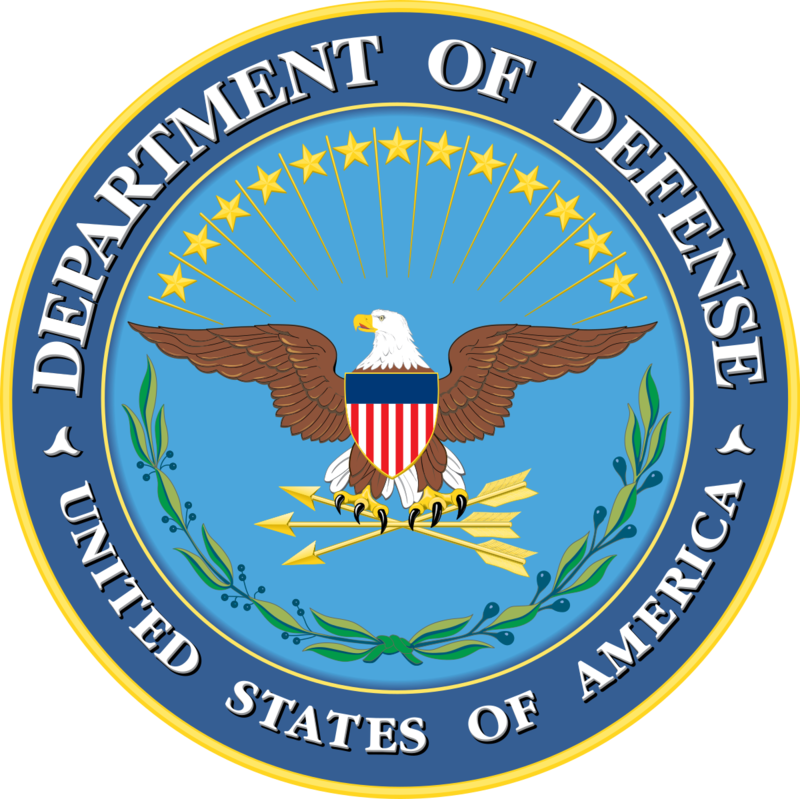 DoD Directive 6495.01 establishes the broad policy parameters of the SAPR Program for the Department. 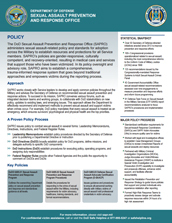 Check out the Policy webpage on SAPR.mil for information and resources on SAPR policy. Want to better understand SAPR policy? 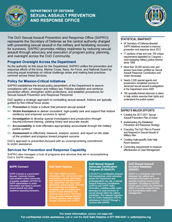 Download the Policy Summaries regarding Victim Transfer Processes and Cases Investigated by Civilian Law Enforcement. 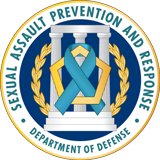 This symbol denotes events that offer continuing education unit (CEU) hours that can be used for renewing your DoD Sexual Assault Advocate Certification Program (D-SAACP) credentials. We want to hear from you! If you would like to provide feedback about the SAPR Program, contact SAPRO via email here. Based on your feedback, SAPRO will continue to update SAPR Source with the commitment of providing you timely, relevant content.